Venezuela’s President Nicolas Maduro criticized Colombia on Saturday for attacks on political and social leaders in the neighboring country. Maduro criticized the situation in Colombia a day after an alleged assassination attempt on a leftist presidential election candidate and disturbances after a right-wing rally on Friday. “From Bogota they try to teach us lessons in democracy, but their candidates are attacked and threatened,” wrote the socialist leader on Twitter. Maduro also criticized the ongoing killing of social leaders killed in Colombia that has seen a dramatic increase after a peace deal with Marxist FARC guerrillas in December 2016. “Venezuelans feel pain for Colombia where more than 30 social leaders have been killed in 2018, within the framework of the presidential legislative campaign, and where being a presidential candidate in Colombia is a risk to life itself,” Maduro said. According to the authoritarian Venezuelan leader and state media, the country’s National Electoral Council (CNE) signed guarantees between the presidential candidates allowed to participate in elections. “Let our Colombian brothers and sisters see the electoral events in Venezuela as an incentive for them to have cleaner, freer and more peaceful elections in the future,” Maduro added. Yet Maduro is accused of the wrongful imprisonment of hundreds of political leaders, including popular opposition leader Leopoldo Lopez. Some analysts believe Lopez or Henry Capriles, another opposition leader banned from running in elections, could have defeated Maduro if they were allowed to participate in elections. Lopez remains popular in Venezuela despite imprisonment for “inciting violence” during protests in 2014. Capriles narrowly lost to then President Hugo Chavez by 1.5% in 2013. Neighboring countries including Colombia have condemned Maduro’s regime as a dictatorship and refuse to recognize elections now slated for May. Venezuela continues to suffer an economic crisis that has sent hundreds of thousands of migrants to other countries in the region. 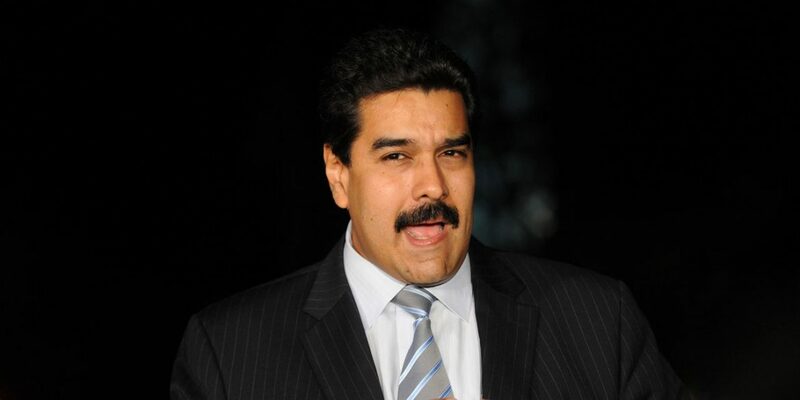 According to analysts, Maduro is likely to win the coming elections because of a lack of opposition candidates and despite an approval rating below 30%.